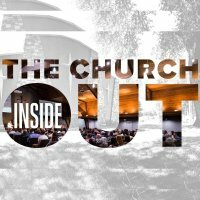 Why Does The Church Matter? Speaker: Lukus Counterman - When you say that something matters, that it is important, then all of a sudden people have an expectation of what that should look like. If someone said lawn care was important, you would expect an immaculate green, golf course like front yard. If someone said fitness was important, you would expect particular eating and exercise habits. If someone claimed that organization was important to them, you would expect their desk to be neat and clean. So if someone says the church is important to them, what should that look like in the outworking of their life? My friends the church matters and that should show by how we live. May the Lord help us to value the importance of his church. Speaker: Lukus Counterman - 1 Peter 5:5 says, y"God opposes the proud, but gives grace to the humble." In the account Naaman and Elisha in 2 Kings 5, we see this truth come to bear. Naaman, the pagan lager came to realize that he could not buy God's salvation, demand it by his own power, or merit it by reputation and achievements. Nothing he have (like gold and silver) and nothing he had done (like great military victories) could impress God or put him in his debt. 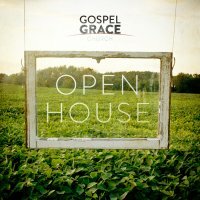 God's salvation is offered by grace alone. His gift costs us nothing..except our pride. So, if we want God's healing, then we need humility. If we want God's salvation, then we must submit to his word. May the Lord help us to consider our need for God's grace today. Speaker: Lukus Counterman - Ambrose, Bishop of Milan wrote to the church of Vercellae in the 4th century AD and referred to Hebrews 11 regarding faith that escapes and endures suffering. He said, "They were found most strong when thought to be most weak, and they did not shrink from the mocking's of men because they looked for heavenly rewards; they, on whom the beauty of eternal light was shining, did not dread the darkness of dungeon. Fed to the full by fasting, they did not seek to be diverted by pleasure; refreshed by the hope of eternal grace, the burning heat of summer did not parch them, nor did the cold of icy regions break their spirit; for the warm breath of devotion invigorated them; they did not fear the bonds of men, for Jesus had set them free; they did not desire to be rescued from death for they looked forward to being raised to life by Christ." May we look to Jesus and live our such faith in our day. Speaker: Lukus Counterman - In our text this morning we see another dimension of faith. 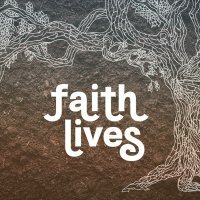 Whether it's the Israelites trapped between the Red Sea and the Egyptian army, or a woman named Rahab huddled in a little house, we learn that faith delivers. When things appear to be utterly futile or when God calls for unusual methods, we need to be people who trust him. Psalm 20:7 says, "Some trust in the chariots and some in horses, but we trust in the name of the Lord our God." At the end of the day we need to ask ourselves what we are depending on for deliverance. Will money, science, ingenuity, diligence, invention, or strength come through for us? The writer of Hebrews says, "No. Deliverance comes to those who place their faith in God." That was true 2000 years ago, and its true today. May the Lord help us to be people who live by faith. Speaker: Jotham Manoranjan - Today we look at the example of faith from the life of Moses. Moses' story of faith begins with his parent's choice to disobey pharaoh and save their baby boy. Their choice sets in motion and extraordinary sequence of events that lead to Moses redeeming the people of Israel. Today's we will spend time studying the choices that these men and women of faith made. We will learn from their example of obedience despite the great cost involved. We also look at the endurance of faith and the saving grace of faith. It is amazing how events that played out over 4000 years ago convict our culture and age today.